Ever since her alternate take on the Air Jordan 1 “Shadow” released in October of last year Aleali May‘s upcoming sneaker projects have been one of the more intriguing stories to follow in the industry. Beginning with a hint at a pink-clad Air Jordan 6 collaboration back in June and reaching a boiling point just last month with images of a furry Air Jordan 1, the stylist has taken to her IG account today to provide some better looks at the two projects. 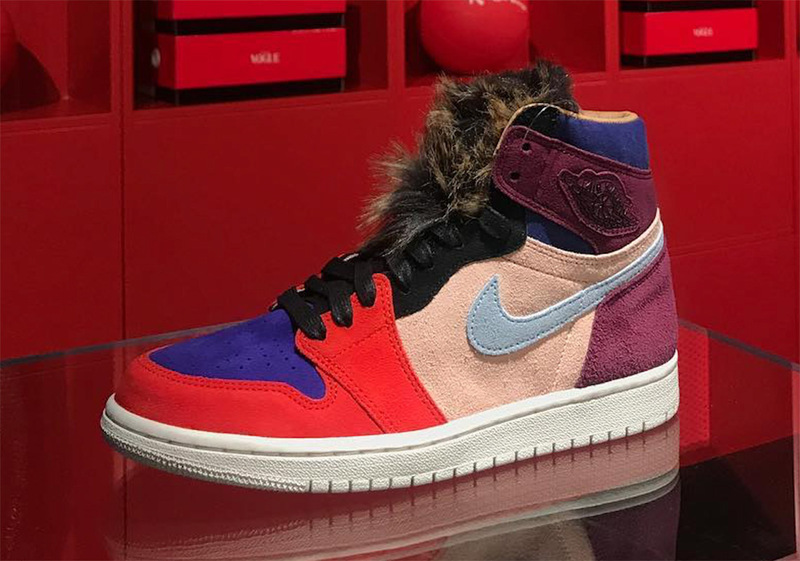 Photographed at Nike HQ in a room surrounded by Vogue x Jordan Branded goods, May shows off her friends and family exclusive Air Jordan 6 as well as the colorful Jordan 1 with a detachable fur tongue set to arrive at retailers this December. Confirmation from Aleali that the Pink/Infrared Jordan 6s are indeed exclusive to friends and family is disappointing news for May’s fans, but they will have one of the wildest Jordan 1s in history to look forward to later this year. Enjoy another look at these two Jordan collabs below and stay tuned for updates regarding an official release date for the AJ1s.